We'll say it: Halle Berry is a genetically superior human, and her unwavering commitment to health certainly doesn't hurt. Berry is one of the many devout celebrity followers of the popular ketogenic diet and regularly shares her favorite keto-friendly meals and recipes with her 2.7 million Instagram followers. 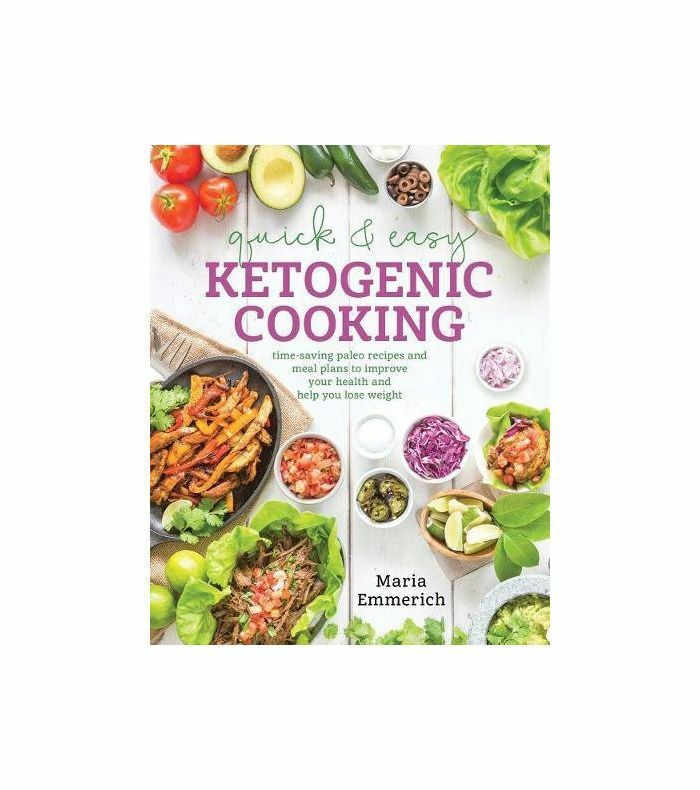 Some of her go-to recipes are pulled from Quick & Easy Ketogenic Cooking by Maria Emmerich; others from Ruled.Me, a keto diet guide; and for the remainder, we've guessed the exact ingredients based on her photos. Keep in mind that she shared these recipes over the course of many weeks, meaning that a combination of the following 14 meals likely makes up a typical 24 hours of eating for Berry. Find out what Halle Berry eats on the keto diet below. Berry doesn't share many breakfast recipes, so it's possible that she's supplementing her diet with intermittent fasting, which can apparently "accelerate the results" of the keto diet. The one outlier is the above "Purium greens and beets" smoothie, which is most likely made with Purium's Scoop of Greens supplement. It's described as a "valuable aid for anyone looking to maintain healthy blood glucose levels naturally." Ingredients: Mixed greens, spiralized zucchini noodles, tomatoes, and hard-boiled eggs without the yolk. Ingredients: This recipe was pulled from Emmerich's cookbook and contains canned tuna or salmon, store-bought or homemade mayonnaise, fresh chives, sea salt, cherry tomatoes, and large Boston lettuce leaves. Ingredients: Ground beef or turkey (either way, we assume it's organic and grass-fed), cheese, pickles, and lettuce. Ingredients: A small portion of green beans and a keto-friendly bolognese sauce, like this one from Headbanger's Kitchen. Ingredients: Guacamole, steak, and a salad of mixed greens, radishes, peppers, and cucumbers. Ingredients: Berry found this vegetarian keto club salad recipe on Ruled.Me. It contains hard-boiled egg, tomatoes, cucumbers, cubed cheddar cheese, and romaine lettuce. The dressing is made with sour cream, mayonnaise, garlic powder, onion powder, dried parsley, and milk. Ingredients: This arctic char with olive salsa recipe also comes courtesy of Quick & Easy Ketogenic Cooking. The char is prepared with sea salt and ground black pepper and is cooked in coconut oil along with finely chopped onions. The olive salsa over the top consists of pitted green olives, pitted purple or black Greek olives, tomatoes, onions, capers, garlic, extra-virgin olive oil, coconut vinegar, fresh basil, dried oregano, and dried rosemary. Ingredients: This instant white chicken chili also comes courtesy of Ruled.Me. It contains boneless, skinless chicken thighs, onion, canned diced green chilies, salt, cumin, oregano, black pepper, butter, frozen cauliflower, chicken broth, sour cream, and heavy whipping cream. Ingredients: For a more filling keto-friendly lunch, try the vegetarian loaded zucchini skins from Ruled.Me. The roasted zucchini boats are filled with pepper jack cheese, cheddar cheese, sour cream, chopped chives, and mushrooms cooked with olive oil, smoked paprika, salt, and Worcestershire sauce. Ingredients: One of Berry's go-to snacks, prosciutto and arugula roll-ups from Ketogenic Cooking, contains just prosciutto, arugula, tomatoes, hard-boiled eggs, and green goddess dressing. Ingredients: Grape tomatoes, cream cheese, green onions, fresh basil, sea salt, and lemon juice for the filling.